Home / EVENT TERBARU / new / New Event / [EVENT] GRAND BUSINESS PREVIEW AEROSIA INDONESIA. 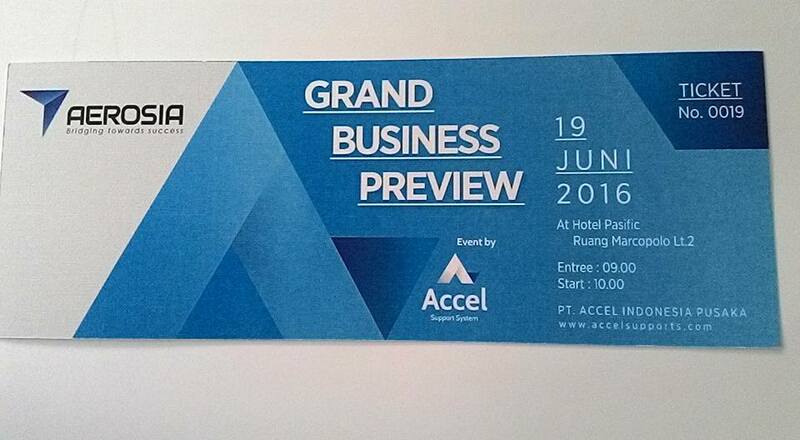 [EVENT] GRAND BUSINESS PREVIEW AEROSIA INDONESIA. GRAND BUSINESS PREVIEW AEROSIA INDONESIA. Tmpat . : Ruang Marcopolo Lt. 2 Pacific Hotel. - Branch President of Aerosia Holding. - Chairman of PT.ACCEL INDONESIA PUSAKA. Berlaku 17 - 19 Juni 2016. Berlaku 04 - 16 Juni 2016.